We have an excellent team spirit at Oakley, and this carries through to all of our offices. We love to celebrate our successes, support each other through change and to take part in seasonal and festive events. We often invite our clients, suppliers and customers to join in with us too. Christmas 2017 is no exception; this year we invite you to enter our Christmas Tree Contest. If you’re keen to share your Christmas cheer, or show off your creativity and style then do take part. You could win a bottle of bubbly and some chocolates to enjoy or share! 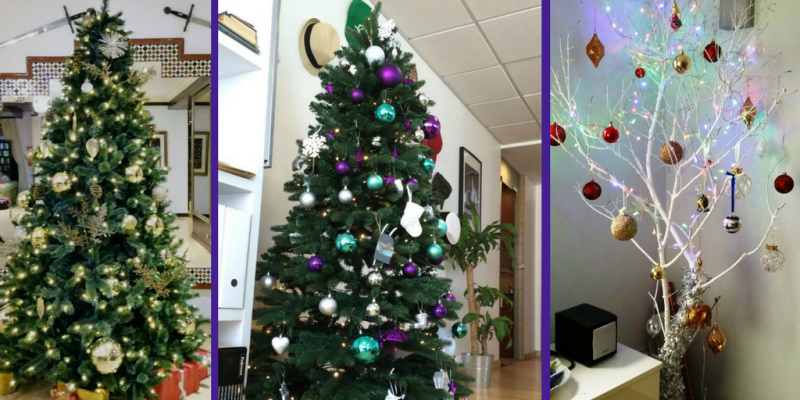 We’re asking all of our contacts to share a picture of their decorated tree, either at home or in the office. You can join in over on our Facebook page and just post your tree picture in the comments below. Make sure that you’re a fan of the Oakley Facebook page, and don’t forget to ask your friends and colleagues to vote for you, as the tree with the most likes or loves will be crowned Oakley's most Outstanding Tree of 2017. The closing date is 20th December. In the meantime, above are some of our own Christmas decorations at the Oakley office, we’re all getting in the festive spirit! We’re lucky to also have the local Christmas decorations in Brighton and Lewes on our doorstep, that we get to enjoy each evening as we leave work. Our offices in Brighton situated in The North Laine are close to the beautiful Royal Pavilion and Christmas ice rink so it really is a magical time of year. Whilst we have your attention, we’d like to wish all our new and old friends a very Merry Christmas and Happy New Year and thank you for supporting Oakley in 2017.